Swish and swanky, Q Bar Samui draws in a chic and sophisticated crowd. The bar is set atop a hill, and overlooks the surrounding town area and lake. 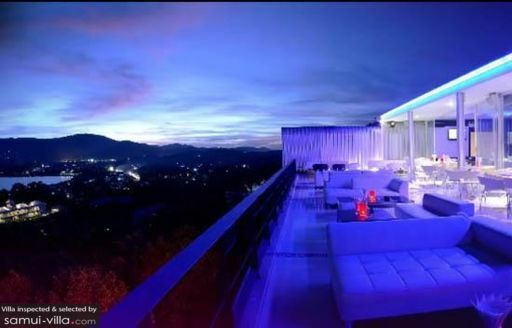 It is an excellent spot to relax in for a round of cocktails during the evening, as one can enjoy scenic views of the sunset. As night beckons, the bar transforms into a cool and glamorous hangout. International DJs spin the decks, and live musicians playing during the night join in the fun by mingling with the crowds.